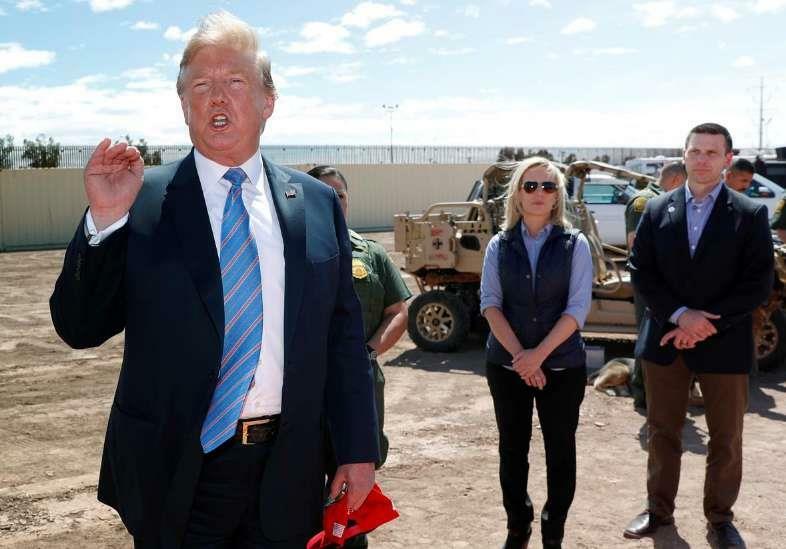 WASHINGTON, April 8 (CGTN) -- A U.S. judge on Monday halted the Trump administration's policy of sending some asylum seekers back across the southern border to wait out their cases in Mexico, stopping a program the government planned to expand to stem a recent flood of migrants. Seeborg said that the Immigration and Nationalization Act does not authorize the government to return asylum seekers to Mexico the way the government has applied it, however. He also said the policy lacks safeguards to protect refugees from threats to their life or freedom. Justice Department data show that while the percentage of immigration court cases completed "in absentia" – when the foreign citizen fails to show – has risen in recent years, the majority of immigrants show up for their hearings. A Mexican foreign ministry spokesman said the ministry considered the ruling "an internal decision" of the United States. "Will I be allowed to go or do I have to stay?" asked Veronica Galdames, who said she fled San Salvador in 2018 after gang members stole her food cart and, pointing a gun at her, told her she had 24 hours to get out of the city. "I feel real happiness, but also uncertainty, because I don't know if this applies to me," Galdames said. A congressional official familiar with the matter said some in Congress believe Trump forced out Nielsen in part because she was trying to obey laws on the treatment of refugees, granting of amnesty and separation of families.